Ammonite Cottage in Whitby, Yorkshire sleeps 4 people. 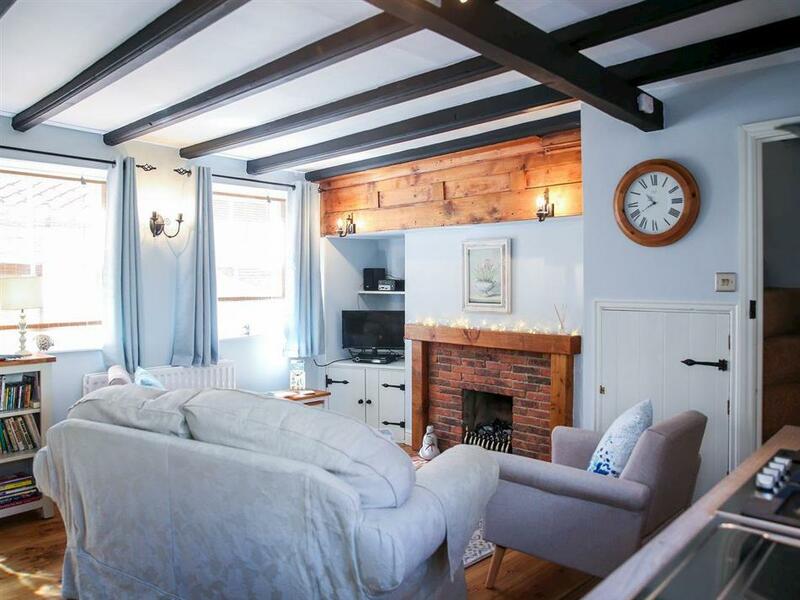 Ammonite Cottage in Whitby is a delightful Grade II listed terraced holiday cottage, located in the historic fishing town of Whitby on the North Yorkshire Coast. 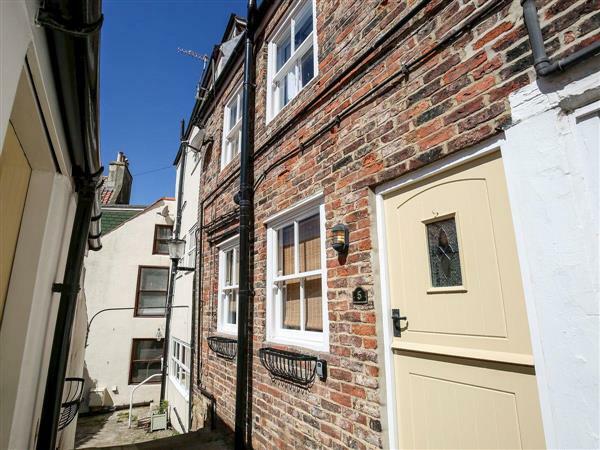 Ammonite Cottage is situated in the heart of this bustling seaside town but enjoys a peaceful setting in one of Whitby’s most tranquil ’yards’. A wonderful tourist destination with a wide variety of activities and amenities. Whitby is a year round destination with a burgeoning nightlife and boasts a range of top-class restuarants and wine bars alongside the traditional cafés and pubs. Located on North Yorkshire’s own Jurassic Coast, this beautiful stretch of sand reaches 35 miles from Staithes to Flamborough Head and is famous for its fossils and Whitby Jet. It is a great place to go fishing and sea angling or look at sea creatures in the rock pools - when the tide allows. You can walk from the cliff top along the Cleveland Way to the idyllic Robin Hood’s Bay and take the bus back. A gateway to the North York Moors, Whitby town is a marvellous base from which to explore the pretty moor villages such as Goathland and Grosmont. In summer the North Yorkshire Moors Railway runs steam trains from Whitby to the delightful market town of Pickering. Whitby’s favourite son is explorer Captain James Cook and Whitby is well known as the inspiration behind the setting for Bram Stoker’s ’Dracula’. There are museums and ghost walks and a host of delightful gift shops where you will find something original to take home. The beach is 70 yards from Ammonite Cottage in Whitby. With the shops 500 yards, the pubs are 30 yards and restaurants are 130 yards from Ammonite Cottage. Ground Floor: Ammonite Cottage in Whitby has 5 steps to the entrance. Living area: With gas coal-effect fire, 24 Freesat TV, DVD player, iPod dock and CD player. Second Floor: Bedroom 2: With twin beds. Gas central heating, gas, electricity, bed linen, towels and Wi-Fi included. Travel cot and highchair available on request. Welcome pack. External utility room with worktop freezer and washing machine. Small garden with sitting-out area (shared with neighbours) and garden furniture. Bike store. Public car park, unloading at the door. No smoking. For a better idea of where Ammonite Cottage is, you can see Ammonite Cottage on the map below. Ammonite Cottage is in North Yorkshire; should you be on the lookout for a special offer, you can find all the special offers in North Yorkshire. It's always worth checking to see what is on offer at the moment. Do you want to holiday near Ammonite Cottage (UK2295), you can see other cottages within 25 miles of Ammonite Cottage; have a look to find your perfect holiday location.